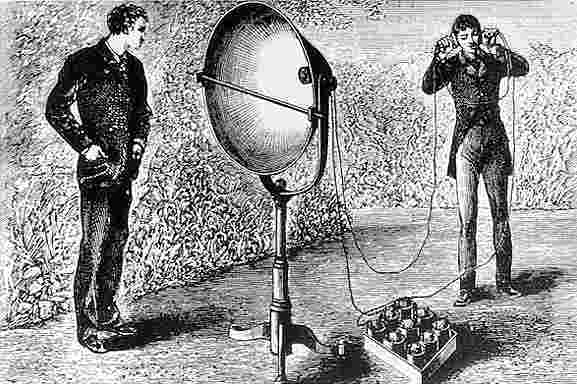 On 3rd June 1880, four years after Graham Bell patented the telephone, he transmitted the first wireless telephone message on his newly invented “Photophone.” All he needed in the 19th century were four years to go from wired voice communications to wireless voice communications. 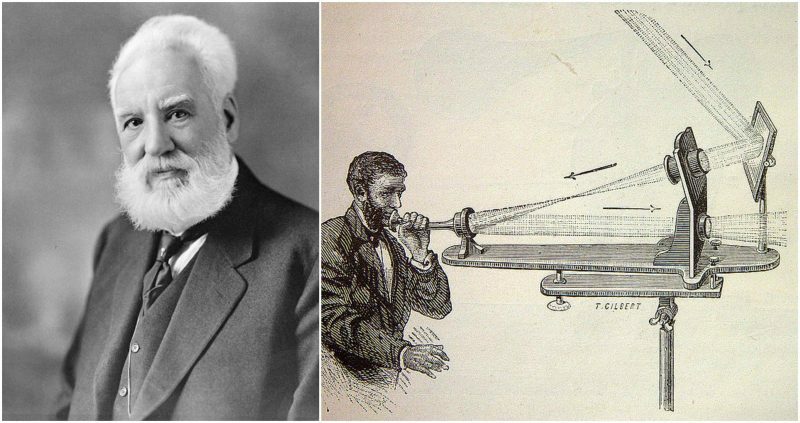 The photophone was in fact, the World’s first device for wireless communications, and it was invented jointly by Alexander Graham Bell and his assistant Charles Sumner Tainter. 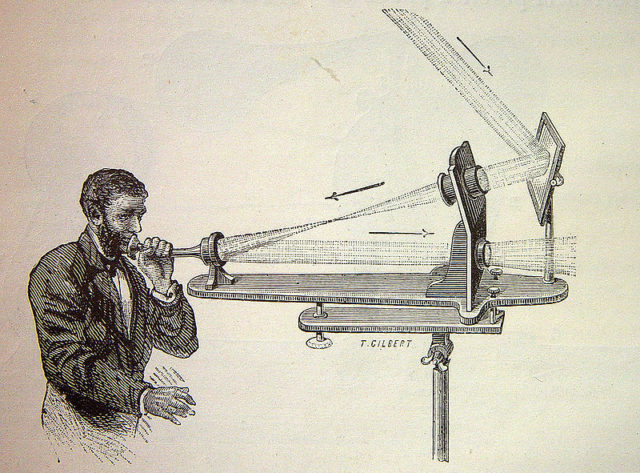 Bell’s photophone was based on transmitting sound on a beam of light. 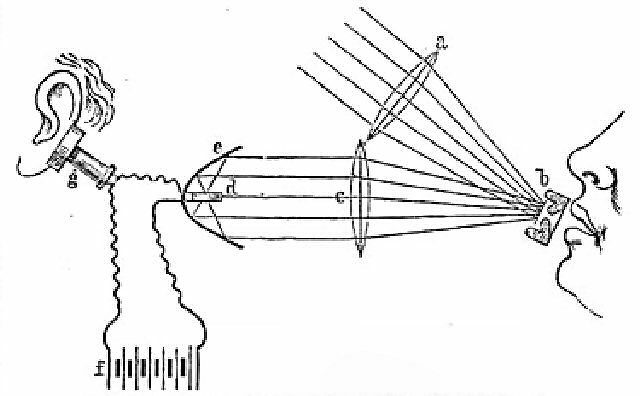 A person’s voice was projected through an instrument toward a mirror. The vibrations of the sound caused similar vibrations in the mirror. Sunlight was then directed to the mirror, where the vibrations were captured and projected back to the photophone’s receiver. There they were converted back into sound. 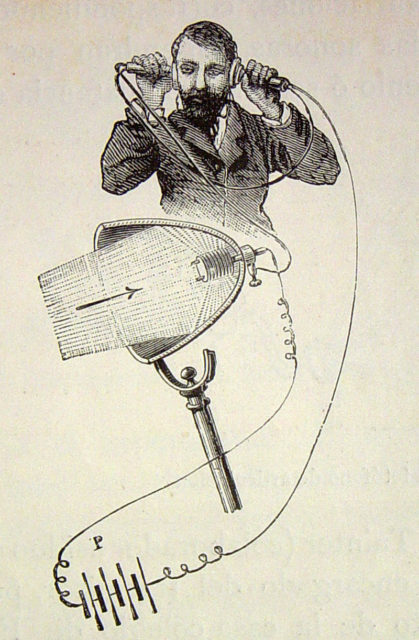 The photophone was similar to a contemporary telephone, except that it used modulated light as a means of wireless transmission while the telephone relied on modulated electricity carried over a conductive wire circuit. Although the photophone was an incredibly important invention, it was many years before the significance of Bell’s work was fully recognized. Bell’s original photophone failed to protect transmissions from outside interferences such as clouds, that easily disrupted signals. Until the development of modern fiber optics, technology for the secure transport of light inhibited use of Bell’s invention. Bell’s photophone is now recognized as the progenitor of modern fiber optics. We have found that the simplest form of apparatus for producing the effect consists of a plane mirror of flexible material against the back of which the speaker’s voice is directed. Under the action of the voice the mirror becomes alternately convex and concave and thus alternately scatters and condenses the light. In his speech to the American Association for the Advancement of Science in August 1880, Bell gave credit to the first demonstration of speech transmission by light to Mr. A.C. Brown of London in the Fall of 1878.